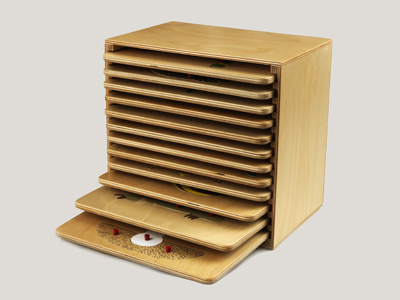 This is the most popular of our four cabinets, as it holds our entire range of Nature Puzzles. Teachers can buy this cabinet with all 12 puzzles, or buy different sized cabinets and divide the puzzles into categories, e.g. Nature, Animals, Plants...etc.